Thank you for visiting. We have been inspecting in the Houston & Galveston coastal areas for over 25 years and have over 21 years of homebuilding experience. We personally performs every inspection and do not have novice sub-contract inspectors you know nothing about. We don't use a pre-designed checklist because you can't pre-determine problems or property condition. Those type inspections limit the inspection to only that on the self-made checklist to help spend less time at the inspection. Our long-standing and proven inspection protocol provides you with a much more understanding of the property, its condition, the systems, and the kind of maintenance it needs. If you want to know property condition call us. Other inspectors, builders and sales people call us for their own homes. There are huge differences between home inspectors and reports. Like all professions or trades, the majority are rather mediocre. A percentage are spectacularly bad. An even smaller percentage are very, very good. We are often the first source for other inspectors and builders for questions and answers. We are available to answer questions about your home at any time after the inspection. Even years later. Can you remode l? Had storm damage? You’ve got a friend you can consult at any time. If you're not completely satisfied with our work at the end of the onsite inspection, you owe us nothing! Our infrared camera offers a non-invasive means of monitoring the condition of buildings providing on-site thermal imagery, revealing potential structural and moisture issues as well energy efficiency issues. Cheap cameras abound. If you can't calibrate to and see the drywall nails then it is a cheap camera and ineffective. In the "Legal Aspects of Code Administration" it admonishes buyers that . . . "it is up to the purchaser to determine the soundness of the building prior to the finalization of the purchase or to hire a (i.e. code certified) professional inspector." 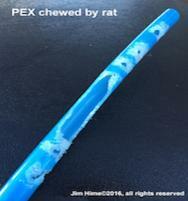 From Dallas to Houston to Galveston are reports of pipe leaks due to damage by rats. 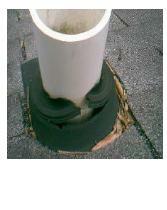 You should look for trails and tunnel holes in your attic insulation. Insulation should be smooth and level. It’s also estimated that more than 20% of all house fires that are labeled “unknown origin” are caused by rodent damage. Rats and squirrels loved to chew on things. Same wall and ceiling with our inspection. See the A/C water on the ceiling running behind the wall? 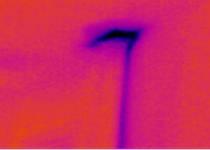 There are hordes of cheap thermal infrared cameras. They are used for "smoke and mirror" gimmicks by the TREC inspectors because of affordability. The cheaper cameras will not identify water or rats in the walls. IF YOU CAN'T CALIBRATE TO SEEING NAILS IN THE DRYWALL THEN THE CAMERA IS SUBSTANDARD. We verify all anomolies with a physical moisture detector instrument as the infrared standards require. 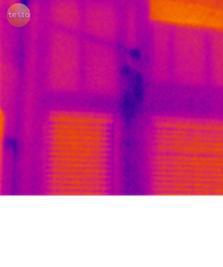 Cameras only indicate, moisture detectors confirm! Disclaimer - Links to any other internet sites should not be construed as an endorsement. Nothing on this web site constitiutes legal advice or may reflect the opinions of the site owner. There is no warranty, expressed or implied with use of this web site. Learn about your home before it gets covered up. If your inspector is not ICC building code certified you are throwing away money. The dark spots are water inside the wall on a one year old production builder home. This is not uncommon. A wet/dry cycle can happen for years causing damages. Almost every house, no matter how recently or expertly built, can be a money pit. The Wall Street Journal & the Natioanl Association of Home Builders study found that it may be cheaper to buy a new or fully remodeled home every 10 years than to deal with the mounting repair problems of an aging home. Resale Estimated Cost of Repairs: generally figure 3/4 of 1% of the sales price for each year age of the property for repair and maintenance. A good inspection should pay for itself many times over. Inspections are simply night and day between inspectors. Inspections and fees are also not the same due to experience and education as well as the level of inspection you want. A cheap inspection initially sounds good but is commonly a waste of money. TREC inspectors get a business license and automatically become an expert in nothing. The state does not certify any private inspector. It only issues a business license. Some inspections may not be worth the money and you still have potential untold safety and financial hazards. Some buyers may not have a chance to get a good inspection as the results may be pre-arranged via a hand picked list of inspectors given them. If your inspector is not IRC code certified then they have no knowledge of code violations or construction defects. Code certification can take years to obtain through testing. Some may hide behind false standards they cannot substantiate or document. The professional inspectors provide a source reference for each opinion of condition. 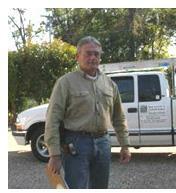 With thousands of inspections performed we hear time and again my clients say "I wish I had hired you the first time." Meeting everyones expectation is challenging and may be impossible for some so if you want a detailed comprehensive inspection they are available. CAN'T KEEP PAINT ON THE COASTAL HOUSE?